Whether you live in a city or a suburb, the struggle to find a parking spot for your vehicle is real. Even here in Vernal — especially if you head into one of the popular businesses lining Main Street — you might find it difficult to find a spot where you want it to be. The Ford EcoSport is here to change that. In fact, when you’re behind the wheel of the EcoSport, you should be able to find what Ford calls EcoSpots — parking spots that are prefect for the EcoSport’s short body. At 161.3 inches long, Ford’s compact SUV is considered the shortest SUV on the market, which makes it perfect for sliding into spaces that you might otherwise not fit. These smaller EcoSpots won’t fit any of the EcoSport’s competition, which includes the Chevrolet Trax, Mazda CX-3, Buick Encore, and MINI Countryman. That’s because the EcoSport is 6 inches shorter than the Trax; seven inches shorter than both the Mazda and Buick; and a whole 8.5 inches shorter than the MINI — despite offering more cargo space than all four of these competitors. 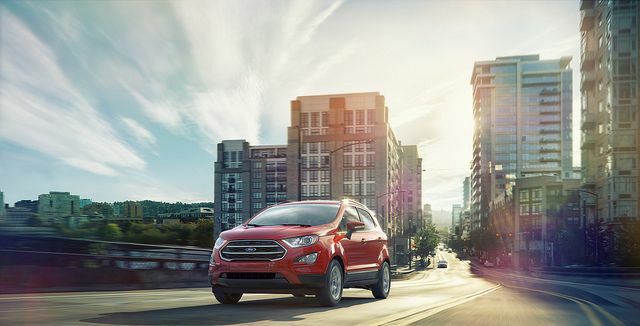 So, if you’re looking for a vehicle that will make parking easy — without sacrificing enough cargo space to haul around your various possessions — then the Ford EcoSport is the compact crossover for you. Take one for a test-drive when you stop by L&L Motor!